NEW FEATURE! Analyze your rides by overlaying your ridden track, speed and horse's heart rate onto your course walks. Learn more. Keep up with CourseWalk! Sign up for our newsletter to receive occasional updates. Sign up here. Get the ad free experience! Record and share your cross country course with the CourseWalk App for iPhone, iPad and Android. Organizers can print course maps using the printing tools on MyCourseWalk.com. 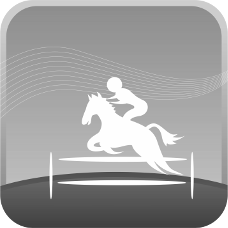 Analyze your rides by overlaying your ridden track, speed and horse's heart rate onto your course walks.